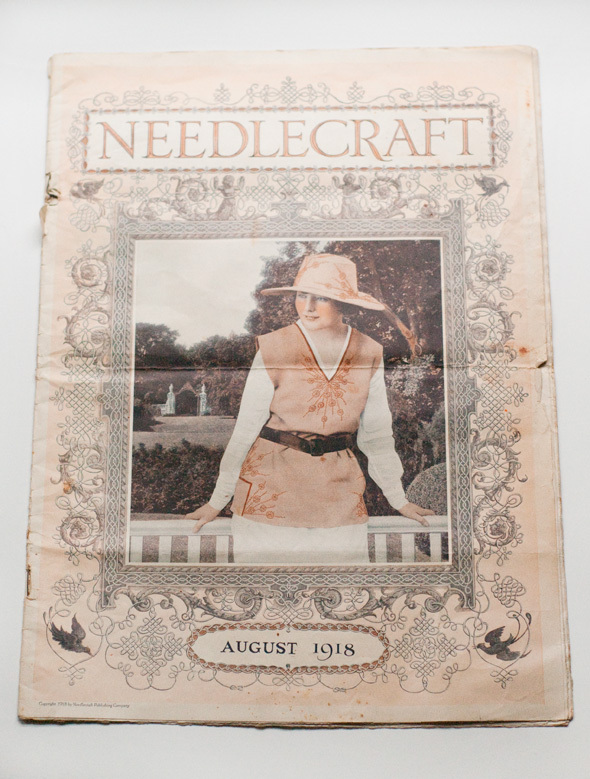 There’s something I really love about the pale pink color of this August 1918 Needlecraft magazine. It popped out at me and I had to swoop it up. 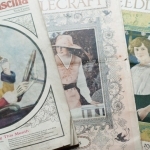 MagazineArt.org has a lot of other beautiful NeedleCraft magazine covers, but they don’t have the two I own! 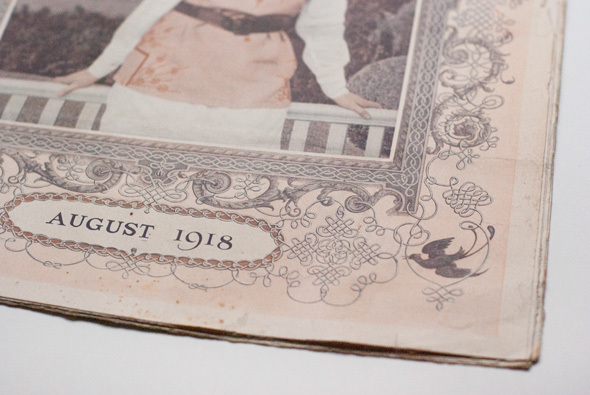 The 1918 cover has lots of beautiful detailing. 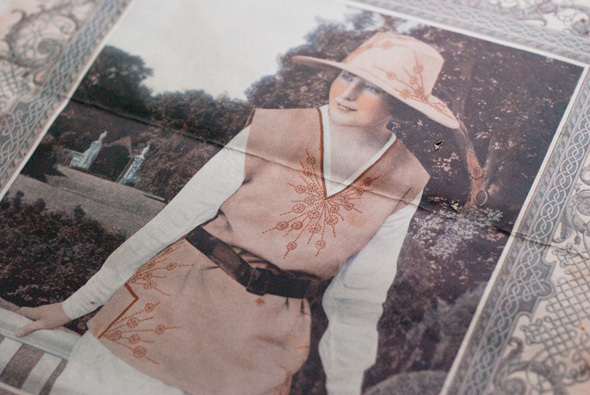 I love the embroidery on the model’s tunic, and the instructions for it are included inside. 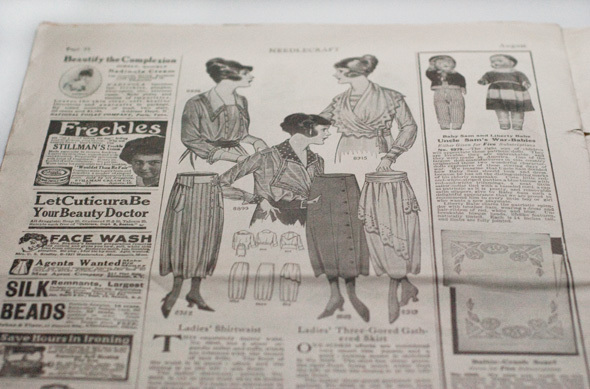 The magazine is full of beautiful advertisements, crochet, embroidery, tatting and knitting instructions. 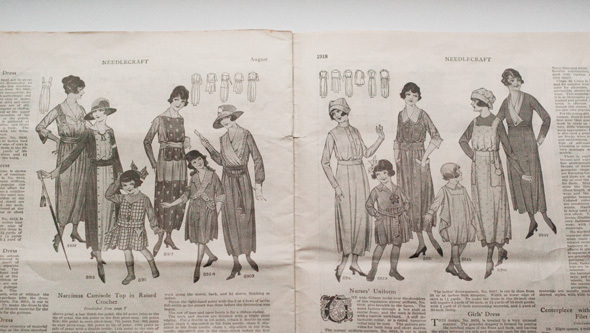 Lingerie, luncheon sets, blouse yokes and dress patterns fill each of the 27 pages. 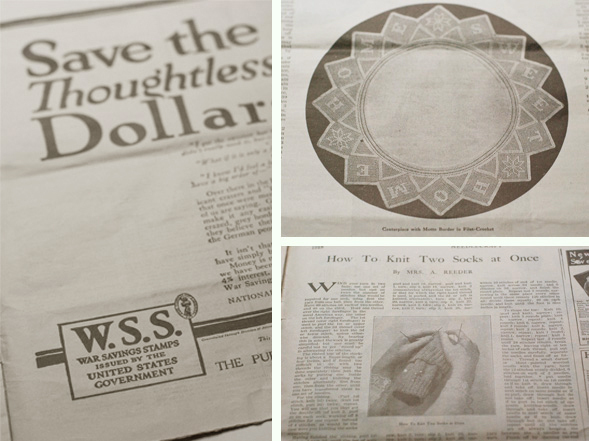 I find the Save the Dollars ad for the war savings stamps to be pretty interesting. Project instructions that I would like to make use of include the “home sweet home” centerpiece and knitting two socks at once. I didn’t even know that was possible! 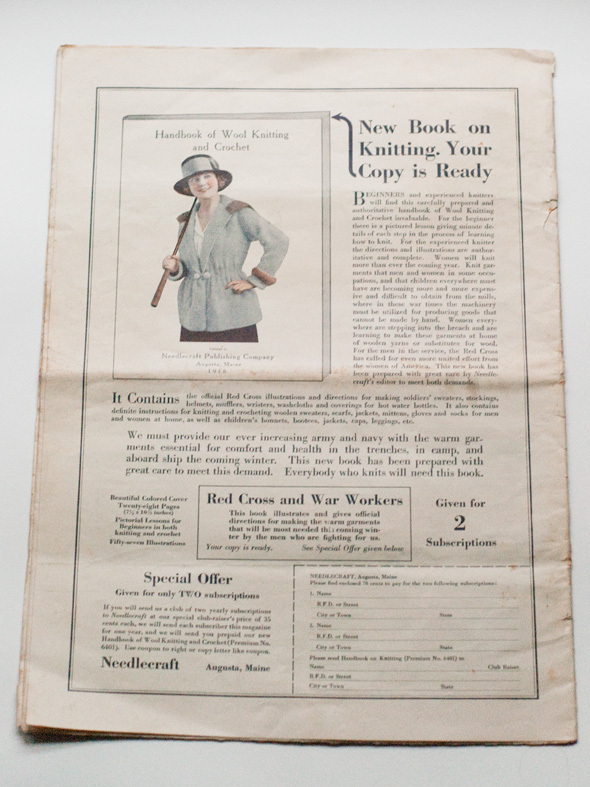 The back cover isn’t filled with colorful and exciting advertisements, but it does have a subscription offer for a knitting book. 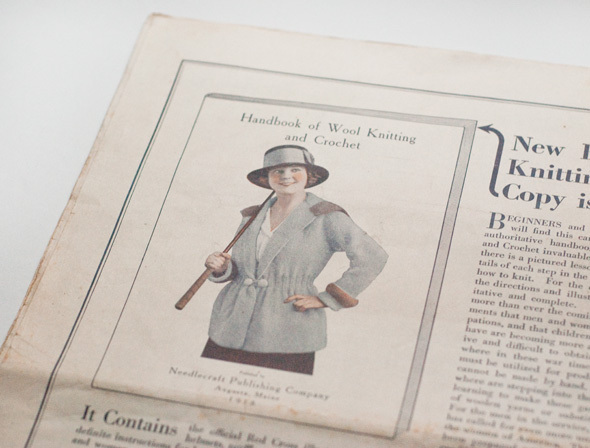 I was a bit sad to think that I’d never get to see the Handbook of Wool Knitting and Crochet, so I did a bit of Googling and found it! If you’re interested in the book, you’re in luck! Knitheaven.com has a copy that you can look thru and read for free on their site! 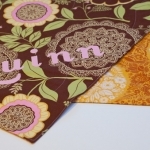 To view this book, click here to be taken to the KnitHeaven site. 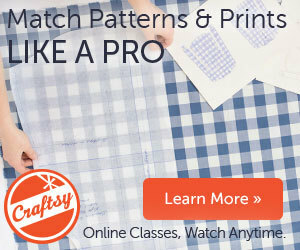 This entry was posted in Embroidery, Projects and tagged embroidery, vintage on November 21, 2011 by Amy Alan.